Spring is here, San Diego, and you know what that means: the water is getting warmer, the California poppies are blooming, and best of all, it’s festival time! Grab the sunscreen and get ready to bite into the most succulent strawberries, groove to the hottest bands, chomp the spiciest tacos, and guzzle the hoppiest IPAs on the planet. Here’s our handy guide to all the events that make San Diego America’s Finest City this spring. This winter’s abundant rains have produced a spectacular super bloom, so head to the desert for flower-peeping from now until at least mid-April. Besides the iconic California poppies and lupines, you’ll see sand verbena, brown-eyed evening primrose, desert sunflowers, spectacle-pod, desert lilies, dune primrose, and dozens of other varieties. Check the park website for updates, maps and directions to the best viewing spots, and remember -- leave no trace, and take only memories. 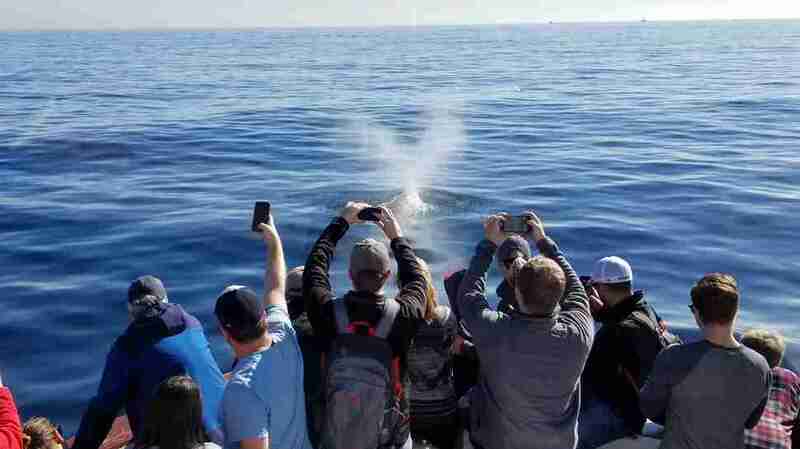 March and April are prime gray whale watching months in San Diego, as the 40-foot long gentle giants make the 10,000 mile round-trip journey from their breeding grounds along Baja California to their summer feeding grounds in the Bering Sea and back. They can often be spotted from shore, especially from hiking trails overlooking the Pacific at the Birch Aquarium at Scripps, the Cabrillo National Monument and Torrey Pines State Reserve. For a closer view, take a whale watching cruise. Saturday brunch at Madison is getting jazzed up, literally. Every Saturday in March, they will host a Jazz Brunch featuring live performances from the students of the San Diego School of Creative and Performing Arts from 10am-12pm, along with Madison's signature mimosas, craft cocktails and tasty brunch menu served up in the stunning al fresco dining space. Madison will donate 10% of proceeds from the jazz brunch series to the school’s jazz department. Media Arts Center San Diego is celebrating the 26th anniversary of the San Diego Latino Film Festival, occupying five screens for eleven days, and presenting over 160 films from Latin America, the United States, and Spain. There'll also be parties on opening night (and closing night), Q&A sessions with visiting filmmakers, and free student outreach screenings, with audiences having the rare opportunity to meet filmmakers and actors from all over the world. 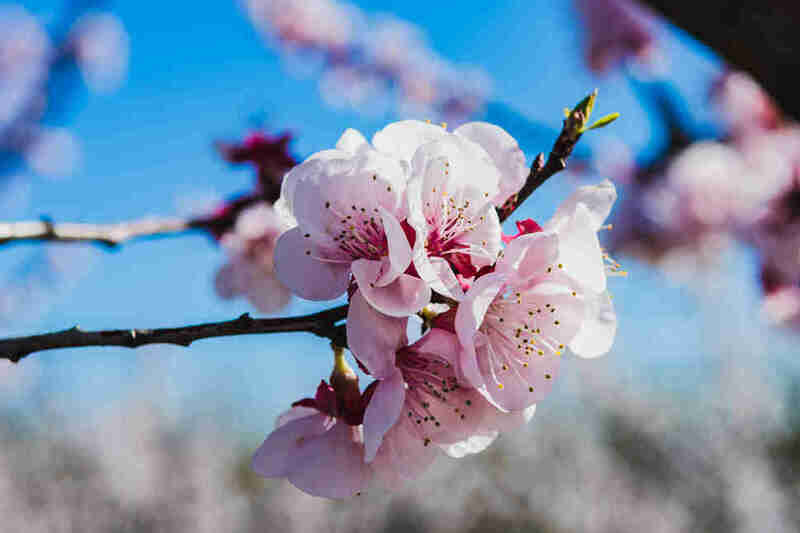 If a trip to Japan or Washington DC isn’t on the cards this year, head down to Balboa Park’s Japanese Friendship Garden of San Diego for the 14th annual Cherry Blossom Festival to enjoy the Japanese custom of hanami (appreciating the beauty of cherry blossom flowers). There are cultural performances, demonstrations and family-friendly activities each day, and you can count on there being plenty of food vendors. Called “the world’s only mindful triathlon”, Wanderlust 108 features a 5K walk/run, a 75-minute DJ-powered yoga flow class, and 25 minutes of soul-reviving meditation led by world-renowned spiritual leaders -- all against the stunning backdrop of San Diego’s waterfront. Afterwards, stroll through the Kula Market, grab some healthy eats like the signature Wanderbowl, or sign up for additional activities including aerial yoga and tarot readings. Celebrate the San Diego Padres' opening weekend with the tailgating party to end all tailgating parties. The East Village Association’s Opening Day Block Party is a free, family-friendly community event that's become a neighborhood tradition, where fans show off their team spirit at PETCO Park. Explore the East Village while enjoying great food, craft cocktails, and beer from local restaurants, live bands, DJs, and baseball-themed beverages. There’s even a bicycle valet, so you don’t have to search for a parking space. The 2018 American Diabetes Association San Diego Tour de Cure offers a ride, run, or walk for everyone. Beginning and ending at the Del Mar Fairgrounds, options include a full century (100 miles), metric century (63 miles), 30 miler, 7 miler, and 5K walk/run. Post-event, stroll through the wellness festival, with live music, food and drinks, kids activities, free diabetic resources, and more. Fundraising efforts support diabetes research, and lunch is included for all participants. Sip your way through nearly 100 wineries at the 4th annual Uncorked: San Diego Wine Festival. 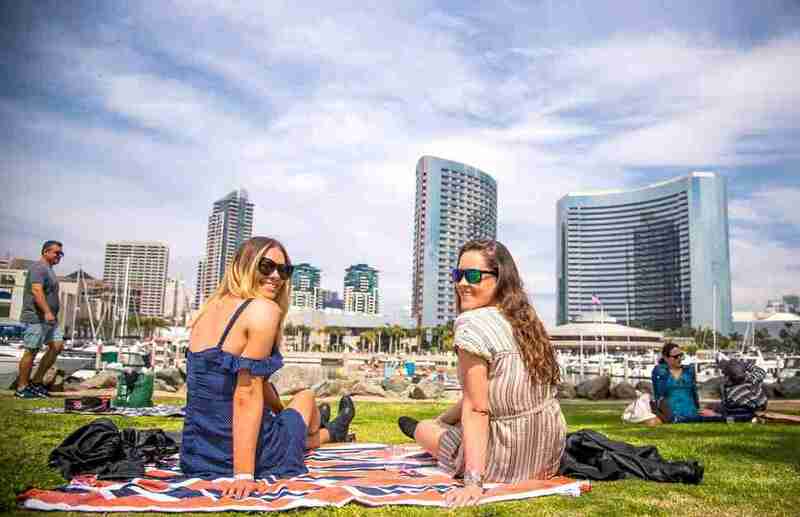 Your general admission ticket will get you tastes of over 200 wines from around the globe, a champagne bar, local ciders, a dozen gourmet food trucks, lawn games, and a live DJ, all surrounded by stunning views of San Diego Bay. VIP admission on the other hand, includes early admission (shorter lines!) and exclusive pours from select vineyards. Proceeds from the fest benefit Urban Surf 4 Kids, an outreach organization that works with orphans and foster children. San Diego’s only gold rush occurred when cattleman Fred Coleman found flecks of gold in a creek in 1870. Barely a decade later, the gold rush in Julian was over, but you can relive that heady time at the Julian Gold Rush Days -- a family friendly event that features tomahawk throwing, archery, candle making, arts and crafts, a beer garden and of course, gold panning. At the 15th Annual La Jolla Concours d’Elegance, presented against the backdrop of the beautiful La Jolla Cove, guests can gaze upon some of the most exquisite automobiles in the world. The weekend begins with the annual Tour d’Elegance, followed on Saturday night by the exclusive Bentley Motors VIP Reception on the Concours lawn, and concluding Sunday with the La Jolla Concours d’Elegance, with over 130 vehicles and a champagne and honey tasting garden. 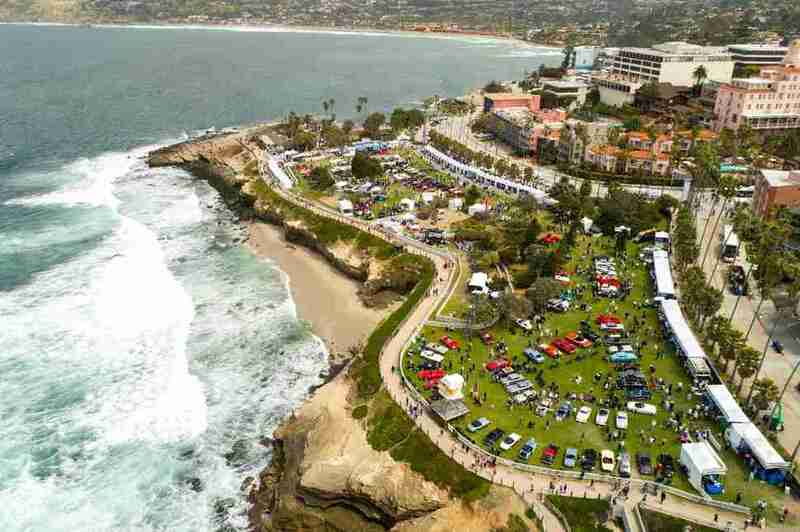 The La Jolla Motor Car Classic will expand the show onto the La Jolla Village roadways, and is free and open to the public. Sniff, swirl, and sip over 200 amazing wines from 25 different vineyards at the 7th Annual VinDiego Wine and Food Festival, billed as “San Diego’s classy wine event.” You’ll also enjoy unlimited food tastings from nearly 30 area restaurants, including Fig Tree, City Tacos, Slater’s 50/50, Solare, JRDN, and Village Vino. Green Flash Brewing throws down the gauntlet in its First Annual Brew Down Beer Competition & Festival, where more than 20 of the best local breweries compete in a no-holds-barred, no rules contest to determine the best brewer’s choice beer in the city. With no restrictions on ABV, ingredients or style, you’ll enjoy unlimited tastings of some of the most unique beers available, and can cast your vote for the best of show beer. 100% of Brewdown Beer Fest profits go to the San Diego Brewers Guild. Guests at the third annual Taste of Liberty Station can stroll the corridors of Liberty Station while enjoying live music, local artwork, and sampling bites from featured restaurants, including Solare, The LOT, Soda & Swine, and more than 20 other eateries. Queen Bee Market (San Diego’s original urban-style, artisan market) features over 100 local and national vendors specializing in handmade and vintage accessories, clothing, home décor, furniture, paper arts, and more. Only a few vendors in each unique and diverse category are selected and every booth at the Queen Bee Market looks like a tiny, beautiful boutique. There will be live music, make-and-takes, and demos; food and drinks are available for purchase. 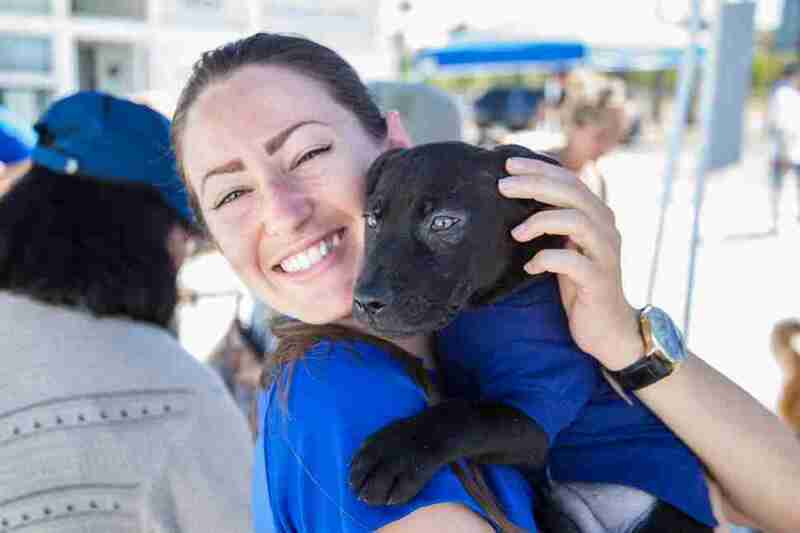 Hornblower Cruises invites good pups and their human companions on a one-hour harbor cruise, complete with a treat buffet sponsored by Petco. The narrated cruise takes you all around the bay for close up views of the San Diego skyline, military ships and possible seabird and marine life sightings. Note: a current rabies tag, ID tag and non-retractable leash is required; you are also encouraged to bring a new or gently used blanket or towel to donate to the Helen Woodward Animal Center. Enjoy two full days of tacos, tequila and music while basking in 360 degree views of the San Diego Bay at the San Diego Tequila and Taco Music Festival. General admission is just $10, but you can upgrade to include a tasting of six tequilas on Saturday for $40, or margaritas for two on Sunday for $25. The Mission Federal Art Walk, now in its 35th year, is one of Little Italy’s most popular events, attracting more than 300 fine artists from all over the world, as well as tens of thousands of art lovers. Covering sixteen square blocks, artists in nearly every media type and style show and sell their works, from miniature sculptures and glass art to enormous, wall-covering paintings. It’s a perfect opportunity to purchase affordable, one of a kind art while supporting local artists. This hour-long, hands-on class will have you measuring, shaking, stirring and pouring like a pro. You’ll learn a brief history of the featured cocktails and mixology basics, all taught by the You & Yours staff, then make two cocktails for your own enjoyment. Attendees get $10 off any bottle bought on the day. This free, three-day fiesta starts the weekend off with restaurant specials on Friday and continues through Sunday. Saturday and Sunday, stop by Lowrider Lane on Harney Street to vote for the finest tricked-out ride, then cheer on your favorite lucha libre wrestler. There’s live music all day featuring Latin rock, Norteña, Conjunto Jarocho, Mariachi, Banda Sinaloense, and more, as well as a kid’s area with activities from 11am-5pm and a two-day Ballet Folklorico competition. 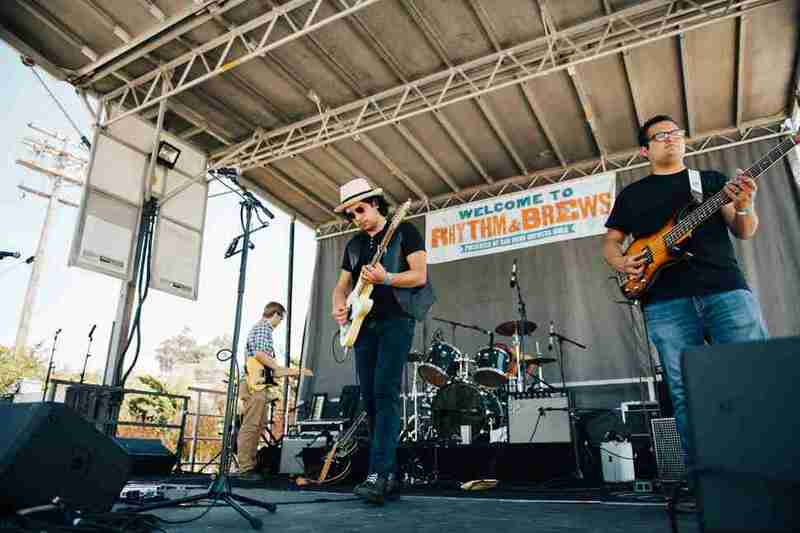 Join fellow beer aficionados at the San Diego Brewers Guild’s annual spring festival, in the heart of Vista Village, to celebrate local craft breweries and musicians. You’ll have the opportunity to sample more than 100 beers from over 50 award-winning breweries, all while grooving to live musical performances and enjoying delicious bites from local eateries. The VIP option includes early admission, a tented beer garden, exclusive access to some of San Diego’s most rare and sought-after beers and lunch catered by When Pigs Fly. Enjoy a relaxing tea and delightful food in a tranquil setting, amidst a sea of blooming ranunculus flowers. Choose from an array of tea, freshly baked scones, and an assortment of sandwiches while delighting in the beauty and breathtaking 360-degree views of one of California’s most historic working flower farms. If you didn’t make it to New Orleans for Mardi Gras this year, now’s the time to make up for it. Head over to Spanish Landing Park for the Louisiana-inspired Gator By The Bay festival. Over 10,000 pounds of live crawfish are brought in for the festivities, and there are seven stages featuring non-stop zydeco, blues, Cajun, swing, salsa, country and jazz music. The French Quarter food court has you covered for classic Louisiana dishes like red beans and rice, jambalaya, and various gumboes including gator, étouffée (dark or light roux), boudin and andouille sausage. Celebrate San Diego’s favorite food at the 4th annual San Diego Reader Tacotopia. Try tacos from 60 of the finest vendors from SD, Los Angeles and Tijuana, then cast your ballot for your favorite. General admission includes unlimited taco tastings and beer samples from 20 local breweries, live music and games. With the VIP option you get early admission and two free drink tickets. 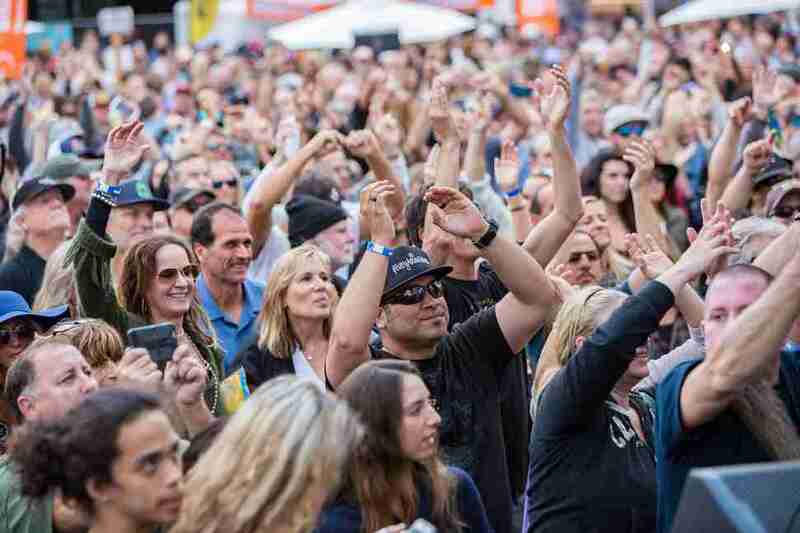 Wander through one of San Diego’s most dynamic and diverse neighborhoods at the 23rd annual SDCCU Festival of Arts in North Park. 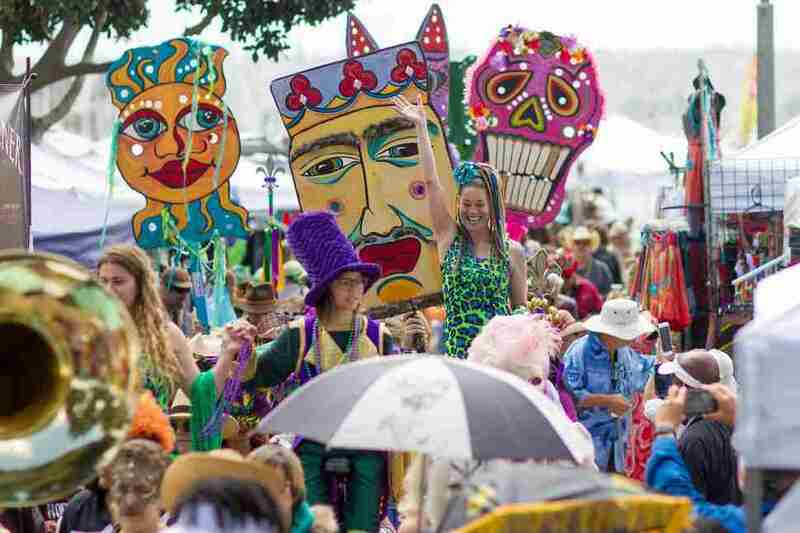 Celebrating artistic expression from unconventional street art to live music, there’s something for everyone at this nine square block free festival, including interactive exhibits, local crafts and fine art. Craft beer and cocktails are available at Craft Brew Block, where you can quaff 12 ounce pours of your favorite brews for a mere $6, or purchase a $27 wrist band that gets you 4 ounce samples from 13 of North Park's best breweries. The Ocean Beach Kite Festival is the longest-running children’s kite festival in the United States. Now in its 71st year, this free, family-friendly event encourages kids to build their own kites, with materials and assistance provided from 10am to 12:30pm. Prizes are awarded for the best decorated kites. Then there’s a parade on the beach, with participants flying their kites and everyone enjoying carnival rides and live music. 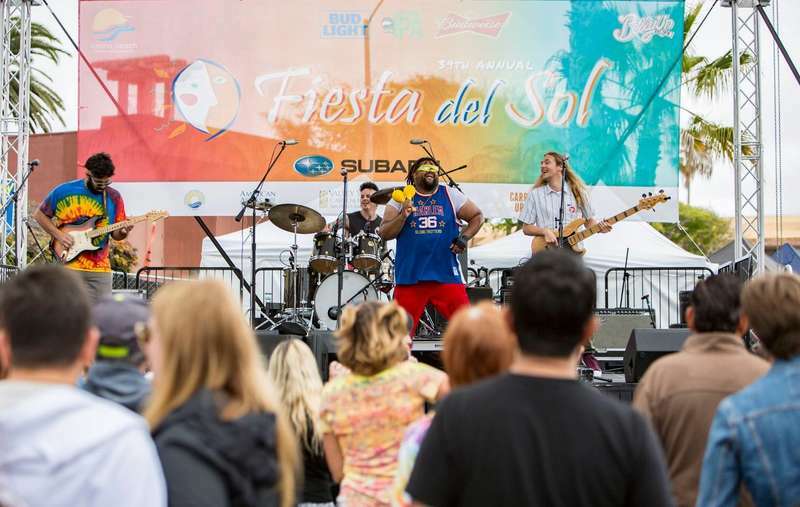 Join several thousand of your soon-to-be new best friends at the two-day Fiesta del Sol music festival, which spans genres including rock, reggae, soul, funk, jazz, blues, Latin and worldbeat. A kids’ zone features rides, games, bounce houses, arts & crafts and other activities, and there are gourmet food trucks, beer and wine gardens for the grown-ups. Parking and shuttle busses to the festival are free (follow the signs), as well as a designated bicycle parking area conveniently located at SD Electric Bike. The San Diego County Fair presents an “Ozsome” world, inspired by L. Frank Baum’s classic tale, The Wonderful Wizard of Oz. Besides the stomach-churning rides, deep-fried food on a stick, and nightly entertainment, you can peruse exhibits in fine art, photography, woodworking, jewelry, and the Paul Ecke Jr. Flower & Garden Show. Cost: $14 - $20 for a one day pass, kids under 5 are free. Check the website for discounts and deals. Mary Beth Abate is a San Diego-based freelance writer by way of Chicago and Los Angeles. Her hobbies include yoga, pickling and fermenting various vegetables and beverages, reading cookbooks, and traveling around Mexico. Keep up with her experiments @MaryBeth_Abate.